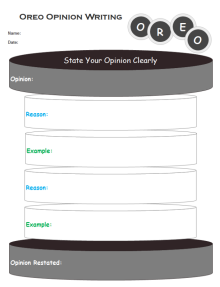 Creating writing graphic organizer with free templates and examples. 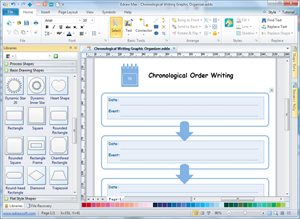 Writing graphic organizer has never been easier. Graphic organizers are excellent aids when teaching students how to write essays. They help students classify ideas and organize writing materials more effectively. Writing graphic organizers come in a variety of styles. The most commonly used ones are hamburger writing chart, oreo writing model, sequential writing, main idea and supporting details writing, and story maps. Graphic organizer materials on the internet sometimes might not fit your specific situation. It's always better to design your own graphic organizers when teaching students how to write essays. Edraw is an easy-to-use tool that allows you to design any kind of graphic organizers through dragging and dropping premade shapes or drawing custom shapes on your own. When you finish a design, one click you can print your file or export to different formats. 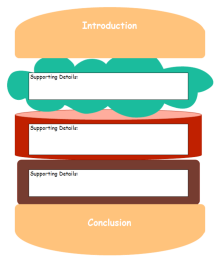 Click to download this hamburger model template. Find More Graphic Organizers for Writing. When you teach about OREO writing model, you can directly use this ready-made oreo diagram template.